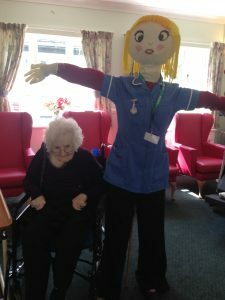 We recognise that moving into a care home is a major life event and therefore deem it essential that activities are effective in meeting people’s needs and choices reflecting the interests of the people living in the nursing home. In addition to being able to enjoy the very British activity of Watching cricket at the adjoining Goatacre Cricket Club, Goatacre Manor has a varied activity schedule and empowers residents to continue participating in as many hobbies as possible. To achieve this we spend time listening to the residents reminisce and seek information from family and friends to ensure a good understanding of residents desires/preferred activities/previous hobbies. Family days and entertainment, painting classes, arts and crafts, singing events, tea parties, ‘Smoothie Tuesday’ and external excursions.